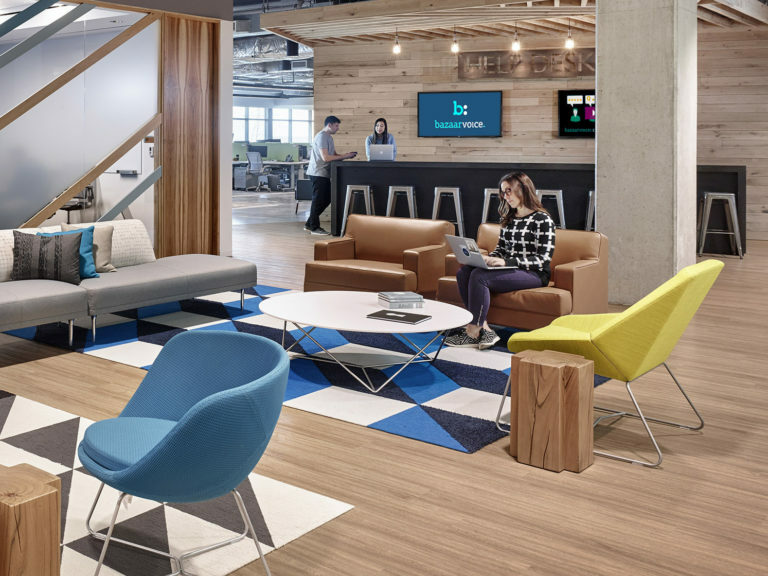 In recent years, we’ve been witnessing a comprehensive reinvention of the modern office work environment. Many things are driving this, not the least of which are high real estate costs and the resulting desire for increased efficiency of space. But equally important are the shifting expectations of younger workers and the influence of technology on how and where work is performed. According to the Pew Research Center, in 2016 Millennials became the largest generation in the U.S. labor force at 35 percent. And the post-Millennial generation (those born after 1996) is now emerging into the labor force and further influencing the workplace. These younger workers have brought with them a more informal outlook toward when and where they work, a more collaborative working style, and an expectation for ubiquitous technology connectivity. WiFi networking enables workers to stay connected anywhere, accessing information and communicating with clients, customers and colleagues. Sound amplification and large-format video screens enable group events and presentations that build teams, reinforce culture and grow business. Digital signage monitors share messaging about upcoming events, recognize people and notable achievements, engage communities and disseminate critical notifications. Electronic menu boards enable creative branding and support dynamic pricing and menu offerings. Flat-screen monitors support small group working and collaboration. Interactive media walls engage, inform and educate employees and visitors to build brands and community. “Genius Bar” style help desks keep employees connected and productive. As we continue to support our clients and customers in their work environments, we can expect the forces of culture and technology that are reshaping the modern workplace will continue to create new opportunities for us to enhance their experience and productivity. Waveguide is committed to helping our clients find creative ways to make that happen.